Already almost a fortnight into November and the festivities are still manifesting! And it's so hard to keep away. 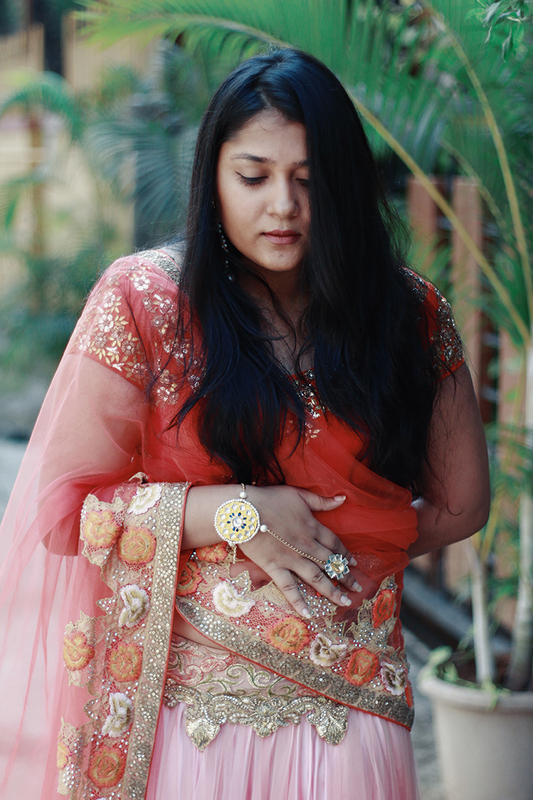 So I felt the spirit of Diwali and decided I had to do an Indian outfit again. I rarely do any of those and it's such a pity. What's even more sad is that I rarely get occasions to wear these pretty pieces as well. 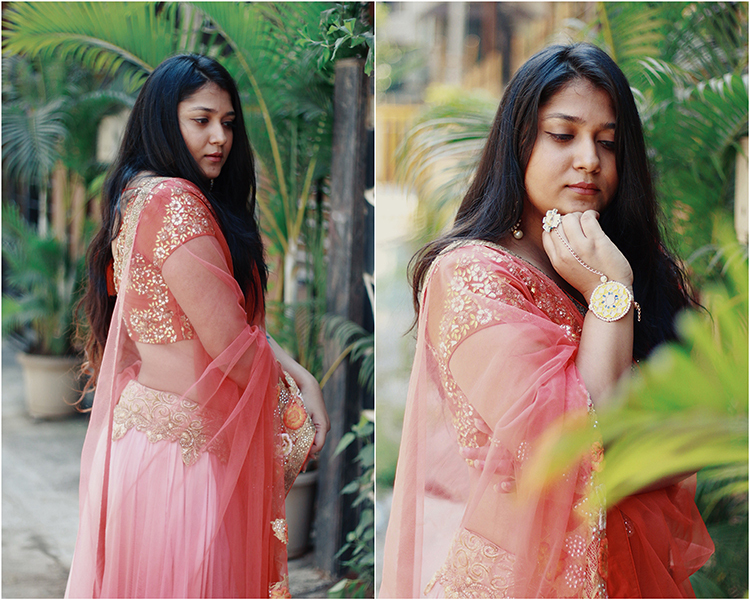 I wait for weddings and celebrations where I can play dress up because there is nothing prettier than Indian clothes and the whole aspect of how regal the pieces can look. I sometimes wish I could have lived in a palace where such clothing was mandatory for all residents and it would be very strange to not come down for breakfast dressed like you're about to go for a wedding reception. That would really be something. So much for wishful thinking! 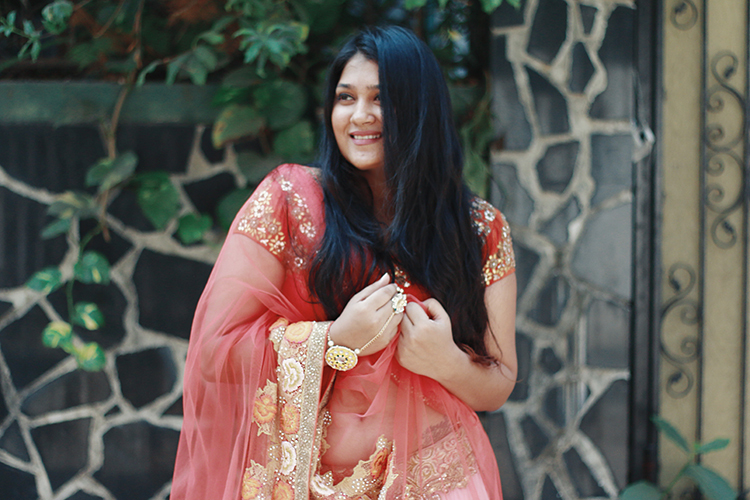 I'm also always on the lookout for places that make or retail beautiful Indian wear, if I even need to get them for myself. And more than for me, I save these places mentally for friends who get married or have emergencies where they absolutely need to find an outfit for someone's sangeet, and I do get a lot of texts from friends that are frantic like that, thanks to my stylist days, so I like to have a lot of options to give them as well so they can take their pick. 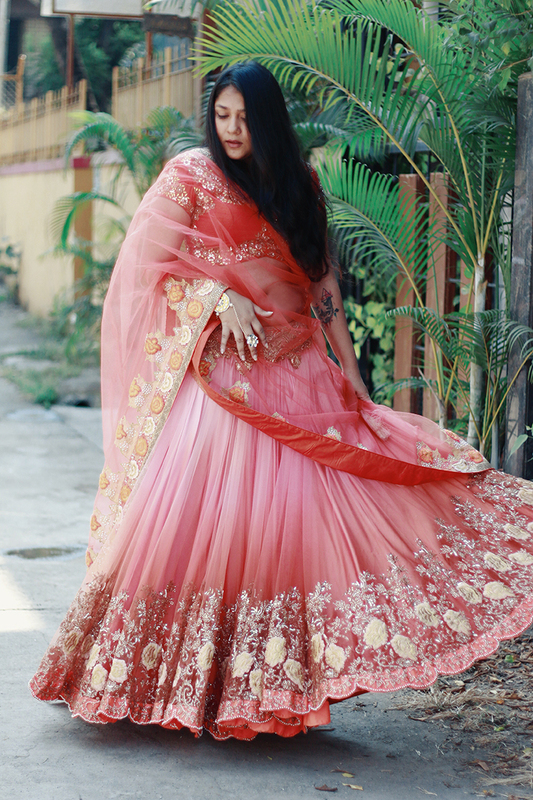 So on my journey of discovering these places and making contacts, I discovered Ritu Seksaria who made this pretty piece and specializes in bridal wear. We talked for a bit when I visited her multi-designer boutique, Vyoum, in Juhu and she took me through a few pieces while we bonded over our love for floral prints. 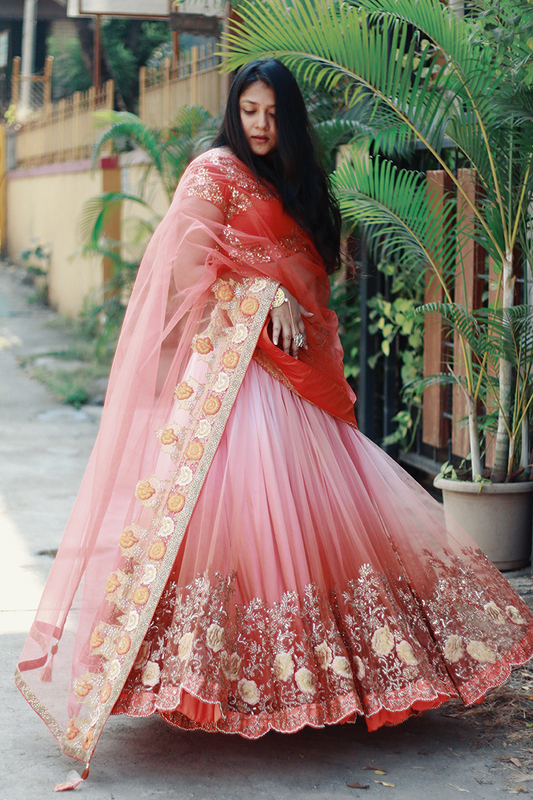 She also hosts a ton of other designer's pieces from traditional textile sarees to a few fancy lehengas with embroidered details and prints as well as a few really cute Indo-Western pieces to accessories like earrings, bracelets and even clutch bags. I felt spoiled for choice while picking this outfit to shoot, and if I was looking to buy, I cannot imagine how much of a dilemma it would have been because everything was just too gorgeous to even look at! This festive season, Ritu is also teaming up with NEEV Foundation for a "Shop for Smile" initiative, so a huge chunk out of all the purchases made during this time will go straight to the foundation. NEEV Foundation is a small organisation that aims to provide as many opportunities to street children in the country ranging from the necessities like food, health and education and beyond. So if you plan to buy anything festive or make a customized order of your own, now is the time to visit Vyoum, so that you can also help in contributing to a wonderful cause by bringing smiles to under privileged children. 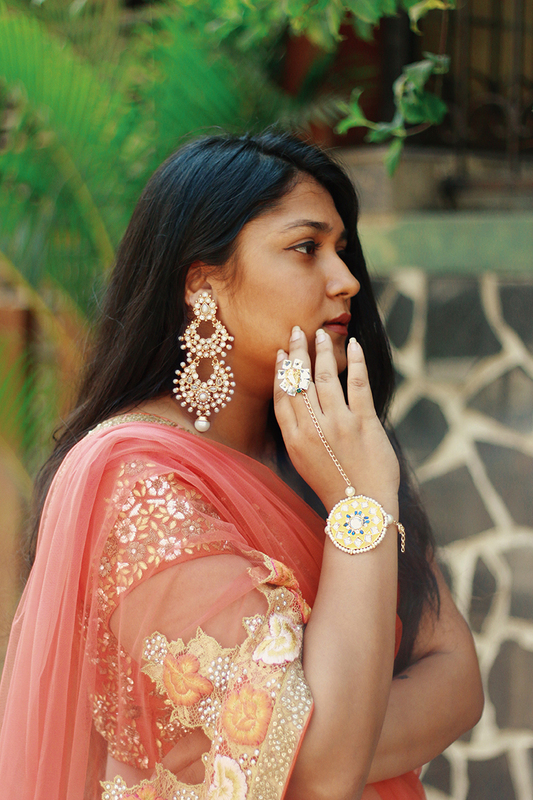 Outfit, Earrings and haath phool, all available at Vyoum. 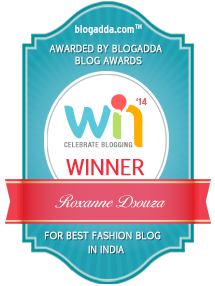 Roxanne, you look pretty in this outfit girl! 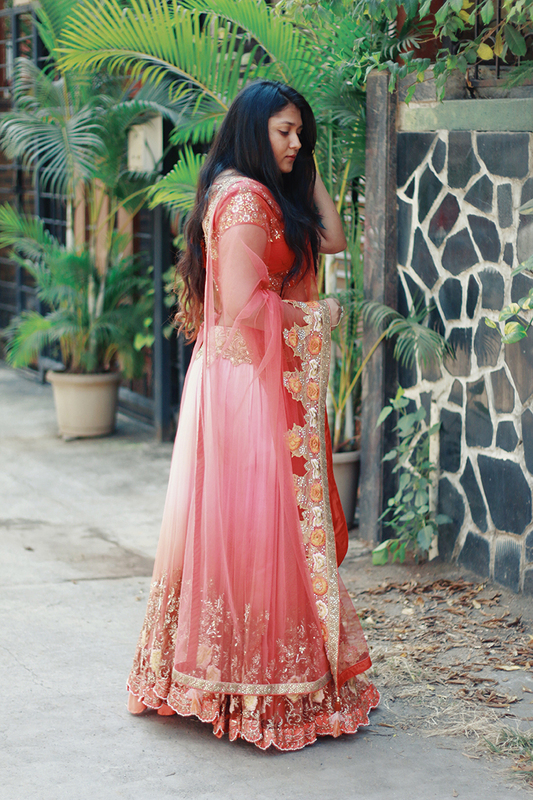 Love the Ombre effect on the lehenga.